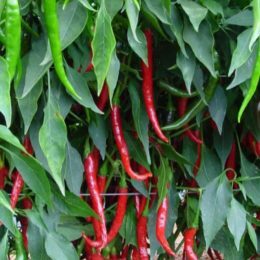 Fury is a medium maturing hot pepper hybrid falling in the Indian/Thai class. Plants tolerate high temperatures and have intermediate resistance to Buckeye-fruit and root rot. An early maturing F1 hybrid for the fresh and drying market. The bearing habit is pendent and its fruit type can be compared to Long Slim Cayenne types, but with a superior quality. A medium maturing pepper hybrid falling in the serrano class. The medium tall plants are strong and have the potential to produce very high yields bearing over a prolonged time. An early maturing hybrid hot pepper of the Jalapeño class. The compact plants have a high resistance to Bacterial spot races 1, 2, 3 (Xcv: 1, 2, 3) and produce very high yields of large, pendent fruit.